Hello Nomads and welcome to the first blog post of the new year. It's been quite some time and you must be wondering what's up. Let's take a look. We've had good results with the way we launched the Alpha of Planet Nomads, so we are going to use a similar approach with Early Access. Only this time we'll use the help of Alpha Nomads too. There will be a feature lock-down towards the release of the first Early Access version. Instead of adding new features, we will do intense testing together with Alpha Nomads and then some bug hunting/fixing. That way we can launch a stable game together, get positive reviews on Steam and GOG and secure a bright future for Planet Nomads and its further development. There will be at least one major update available to Alpha Nomads before the Early Access launch, which will include the updated visuals and the rest of Planet Nomads - the game. As you may have guessed from Trello, the months leading to Early Access are all about creating the gameplay - to be able to have survival mode we must add material mining and processing, recipes for all building blocks and crafted items, 3D printers, containers and generators with interfaces, player conditions, deadly threats... The list goes on and on and it will be no small task. You will be part of it all, Nomads. In the next episode of Nomadic Journals, we will have Peter cover the ins and outs of the Early Access version and what's going to be in it. We see the Early Access launch of Planet Nomads in March or beginning of April. The final date depends on the development speed and other gaming titles being released at the time. Most importantly - you'll know the date long before launch. We are running a naming contest with Alpha Keys as prize. You may suggest yours before Friday's 5 pm. It's no biggie - it's just naming the most desired building material, which will be known by everyone. Check the forum. Although we were mostly vacationing during the holidays, many people on the team couldn't take a rest for that long. They worked on finishing and improving their parts. One of these people was Kubat. To make himself warm in the winter he created a lava world. The lava world is the first biome created specifically with the new PBR shader in mind. We introduced it last year. We find it pretty impressive. More biomes to come, including underwater ones. 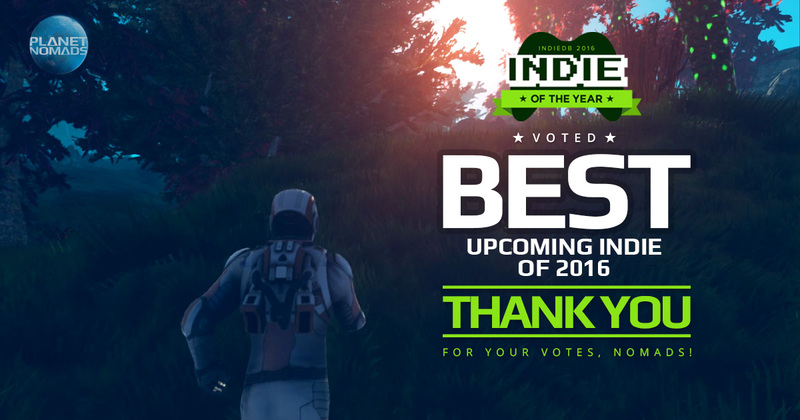 You have backed Planet Nomads once again and voted for it on IndieDB, making our sandbox game the Best Upcoming Indie of 2016. You pushed it two positions higher than the last year, with Planet Nomads ending on a lovely third place. Anything else? You bet! New website for Planet Nomads in the making. It will better reflect the production value of this sci-fi video-game and help it stand out in the myriad of Early Access survival titles of questionable quality. It also seems to be a good time to make a new trailer for the Early Access release, don't you think? With the updated visuals and gameplay finally taken in the game. Oh and one more thing! 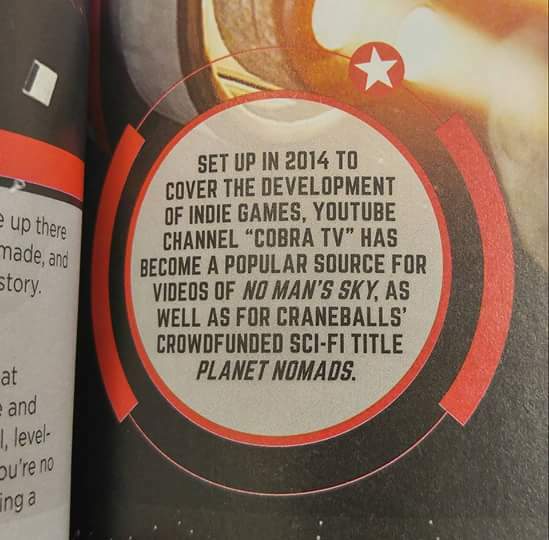 Thanks to Cobra TV, Planet Nomads is now forever a part of the Gamer's Edition of Guinness World Records ( Planet Nomads is on page 125). Thank you Cobra, thank you Nomads, stay tuned for more!